The University of Missouri-Kansas City launched a national search in September to find a proven leader who could transform its Division I athletics program, one who could continue its long history of success in developing scholar-athletes while rallying more wins, greater fan support and increased revenue. 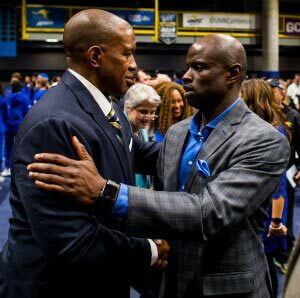 UMKC announced its pick: Brandon Martin, Ph.D.
Martin served as a faculty member at the Division I schools where he also was an athletics department leader, at USC and the University of Oklahoma, where he hired men’s basketball coach Lon Kruger. He has presented more than 40 papers, symposia and workshops at national higher education conferences. 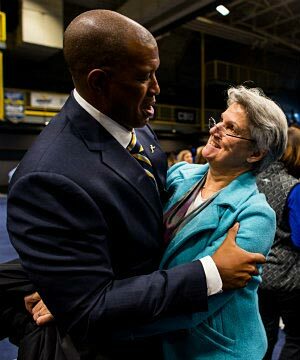 In 2014, Martin was appointed to the NCAA Committee on Academics. 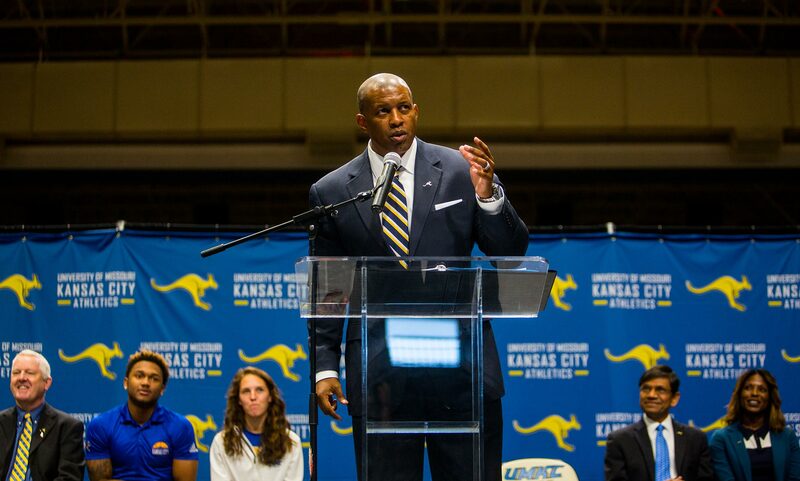 Martin’s goals for UMKC Athletics are straightforward: Become a Top 100 Division I program. Win Western Athletic Conference championships and earn NCAA tournament berths. Provide a first-rate campus life experience for scholar-athletes while producing graduates who not only earn degrees but develop as leaders for campus and community. 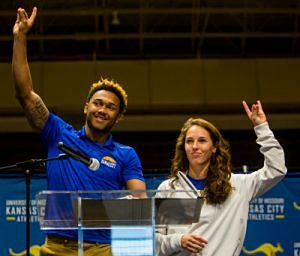 UMKC won two WAC regular season championships last year, three WAC post-season championships and contributed more than 2,000 community service hours to the Kansas City area. UMKC student-athletes also excel academically, carrying an average 3.3 GPA. 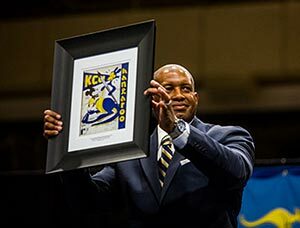 Martin takes the helm of UMKC Athletics on Dec. 3, 2018. He will be joined by his wife, Rosemary, and their children Germany, Riley and Brandon Jr. He is excited about his future at UMKC and in the community.